About WalkGPS purpose, origins. Author Dave Osborne. Bushwalks near Perth, Western Australia. The WalkGPS website is sole-authored by Dave Osborne. 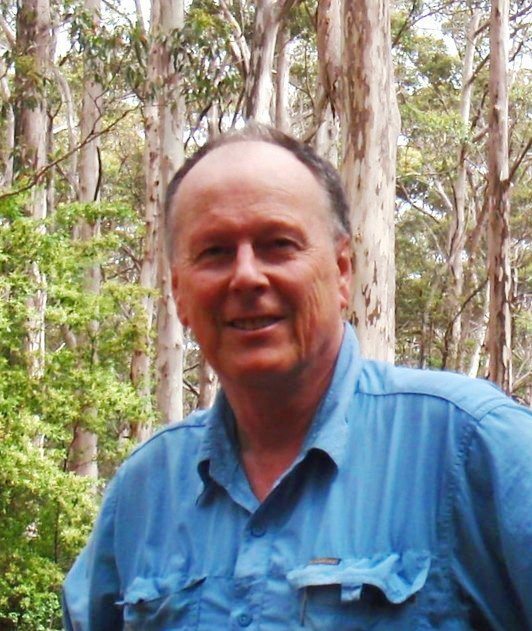 Dave is a passionate advocate for bushwalking in WA. He is current President and Acting Exec. Officer of Bushwalking WA (Federation of Western Australian Bushwalkers Inc) and is a life member and past-President of Perth Bushwalkers Club. He launched the original website in 2003 with the simple aim of encouraging anyone who can walk, young or not-so-young, to discover the great wealth of opportunities for enjoyable traditional bushwalking within 100km of Perth city. This is a privately-owned non-sponsored site. WalkGPS does not exist to make money and is not an advertiser, promoter or seller of GPS units, software, maps or books, or guided commercialised walks. The “GPS” in WalkGPS stands for Global Positioning System, not an abbreviation for ‘groups’. An optional small subscription fee has been introduced in 2017 to contribute toward ongoing site running costs and ensure the site is sustainable into the future. The seventy or so day walk routes on WalkGPS total over 1000km of bushwalking opportunities which are mostly not documented elsewhere. True to bushwalking tradition, and similar to the bushwalks in that wonderful 1985 book “Forests on Foot…” (Meney & Brown) produced by the then Campaign to Save Native Forests, many of the routes include cross-country (off-track) walking. The majority of the routes were initially explored by myself and not previously published. The walk pages are the product of several thousand kilometres of mostly solo reconnaissance walking; They are not one-off ‘trip reports’, but are based on multiple visits to each of the areas to re-test and optimise every route for walking enjoyment. Despite the popularity of some routes over many years, the cross-country walking activity in this region has amply proven to be minimum impact and sustainable. The walks are mainly through the mixed jarrah-marri eucalypt forest and wandoo woodlands in the parks and state forests of the Darling Range. Bushwalking is best done in the cooler months from mid-April to late November and especially in spring (September-November) when Western Australia’s unique wildflowers are also at their best and the granite outcrops become richly coloured with mosses, lichens and sundews. The southwestern area of Australia (with the notable exception of the Stirling Range) mainly lacks the dramatic scenery of the more popular walking areas such as the Blue Mountains of NSW, the Tasmanian wilderness or the ‘tramping’ environment of New Zealand, but the beauty of the woodlands, the wildflowers and the granite outcrops of the monadnocks offer the bushwalker their own special rewards. The walks are all circuit walks, so avoiding any need for car shuffles. There is also mostly no repeat walking of any sections of a walk. The walks cater to a wide range of walker experience and capability. Walk distances range 9 – 18.5km, with the average being 15km. The walks are graded very simply on an Easy-Medium-Hard degree of difficulty scale, but you must exercise your own independent judgment as to whether the walk routes suggested on this site are safe for you taking account of your fitness, training, skills and experience. Importantly, please read the WalkGPS disclaimer before considering any of the walks. The 1000(+)km of WalkGPS walk routes have been tested and proved popular over the past 14 years by countless independent bushwalkers and members of Perth’s bushwalking clubs. Thank-you to those many keen bushwalkers who have provided such enthusiastic feedback along the way. eNews for WA bushwalkers: April 2019 issue, courtesy Bushwalking WA, the State's peak bushwalking / hiking body. Relive! Avon Valley Walk-Both Sides (Walk #A2): From the escapades of subscriber Ras Gill. Best viewed in full screen mode. Don't attempt in winter! 'Adventurous Walks of the SW': BWA's book project makes good progress. Covers areas south of WalkGPS walks. What you said about WalkGPS: A page in appreciation of your feedback. Newest Walks! Northam area: Bobakine, Clackline & Mokine Walks; Helena Valley (Glen Forrest) Walk added for subscribers. Subscribe to WalkGPS: Many walk pages on this site are public, but 52 walks (~70%) are accessible to subscribers only. Your small subscription fee helps cover site costs. Subscribe now for full access. Enjoy the 2019 bushwalking season! Blog posts including A future for bushwalking in the Perth region? - WalkGPS blog 1 May 2017. Feedback: Thoughts & suggestions for the site and walks are very welcome. Use Comments at bottom of walk pages (and star ratings on r.h.s.) or Contact to provide feedback.